Grand Prix Tyres are approved dealers for the majority of tyre brands found in the U.K., including Bridgestone, Firestone and Toyo. 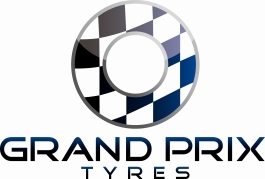 Grand Prix Tyres in County Down, is a long established family business with over 35 years experience within the tyre business. Originally and still an independent wholesale distribution operation we supply tyres to garages throughout Ireland. At Grand Prix Tyres we use modern tyre mounting equipment and computerised wheel-balancing stations to fit your new tyres. The tyre fitting machines are accessorised with composite nylon attachments to protect your alloy wheel during all operations in the tyre changing process. This state-of-the-art machinery is available for all customers, so if you have bought your tyres elsewhere you can still bring them to us in the assurance of receiving the best workmanship and care. General Altimax is the best tyre I have ever had on my Audi. So far they have done 16,000 miles whereas the best I had previously was 12,000 from Goodyears. Great service! You stayed after hours to get me back on the road. Thank you all so much. We believe that your requirements are paramount and so we are happy to advise on the condition and road-worthiness of your tyres. With the help and advice of our experienced staff you decide on the tyres that are best for you and your car. We will do our upmost to ensure the best possible price is quoted to you. We regular negotiate with our suppliers. Long established family business in Newtownards with over 35 years experience within the tyre business. At Grand Prix Tyres we use modern tyre mounting equipment and computerised wheel-balancing stations to fit your new tyres. During the winter months it is more important than ever to make sure that your tyres are in good condition.